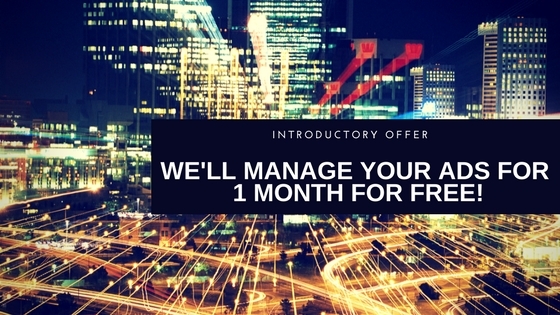 When you sign a four month contract with us, we’re so sure you’ll love our results that we’ll give you the first month for free. You just pay for the ads. After the first month, if you’re not completely satisfied, you can cancel. No one has ever cancelled on this offer. No one. Going alone with online ads, it is far too easy to lose lots of money. Our proven approach minimizes your marketing risk. We care for your ad dollars like they’re our own. We have data to support every keyword, every ad and we have the results to prove it. We can get you to the top of page one with ads that keep your brand top-of-mind and convert your most profitable customers. 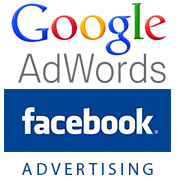 Our clients love the PPC results we deliver on Google AdWords and Facebook. Increase foot traffic to stores: We used geo-targeted ads specific to users within a mile of each location. Increase customer loyalty and repeat sales: Using a Facebook check-in campaign we increased sales of returning customers who already liked the brand. Target specific professions: We have created campaigns that targeted teachers, student, military, police and firefighters for discounts. Target soccer parents: We created a campaign around various sports leagues that highlighted discounts for post-game pizza parties. After building the post-game habit, in-store sales increased. Target hipsters: Realizing that vegan pizza was a popular search that this chain could dominate, we created ads that targeted specialty menu items that appealed to specific demographics. For a second generation coffee roaster we created PPC ad campaigns to, drive sales to their Amazon store, highlight industry reviews to spur sales, brand the company as Free Trade and Organic, and promote seasonal sales. For the California Air Resources Board, we created a display and retargeting ads to highlight new air quality requirements for all CA truckers. The campaign was very successful and tremendously cost-effective, getting high impressions on keywords that would normally have cost $25-48 a click for under a dollar a click. Since 2014 we have managed the California Physical Therapy Association‘s Move California online PPC campaign, garnering millions of impressions and tens of thousands of clicks on both Google Adwords and Facebook. The campaign lead to thousands of referrals to CPTA member physical therapists which is why the campaign continues year after year. We helped California Youth Coalition get $10,000 a month of free Google Search ads via the Google Grants program. The short campaign was designed to promote their 24-Hour Youth Crisis line. Through our campaign, thousands of homeless, depressed, suicidal, and exploited teenagers got the help they needed. We created ads for in-demand programming and business training for New Mexico’s STEMulus Center. Our campaigns targeting many different demographics yielded millions of impressions and tens of thousands clicks for a very satisfying conversion rate that filled up classes quickly. Starting in 2016, we have managed Google campaigns for St. John’s Retirement Village’s three retirement community brands, each targeting a specific active senior demographic. With a very limited budget, we were able to get thousands of clicks that converted into active clients. We URGE clients to create strong landing pages for their ad campaigns that meet our own PPC 30-point best practices checklist for ad and landing page copy, quality score and technical issues including conversion analytics that empower you with actionable intelligence. Even if you’re happy with your current landing pages, we can show you how to improve conversions. For those companies that have their own PPC professionals, but want a fresh perspective, we are happy to do a PPC audit. This includes a thorough analysis of your existing program and documents our findings and best practices recommendations in a report. If you are spending or looking to spend over $1,500/month at Google AdWords, Yahoo! Search Marketing, and/or Microsoft adCenter, our full service management option may be the perfect fit for you. Our full service package is designed to save our clients both time and money. We have years of experience, and bring customer service to a whole new level by taking the time to understand you, your business, and your goals.